Winter in Okinawa is about gone, and with warm weather, the flowers start to bloom again. During this time of the year, many flower festivals take place all over the island displaying some of the most beautiful tropical flowers you could see anywhere. 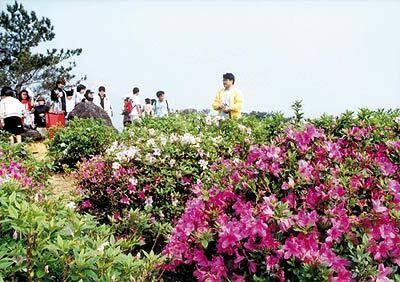 One such festival is Higashi Village’s Azalea Festival that opens this Sunday and continues through Mar. 21. The admission to the festival is ¥200 for adults. Children aged from six to twelve pay ¥100. To get to Higashi Village drive north from Camp Schwab on Hwy 329, turn on Hwy 331 and then on route 70.